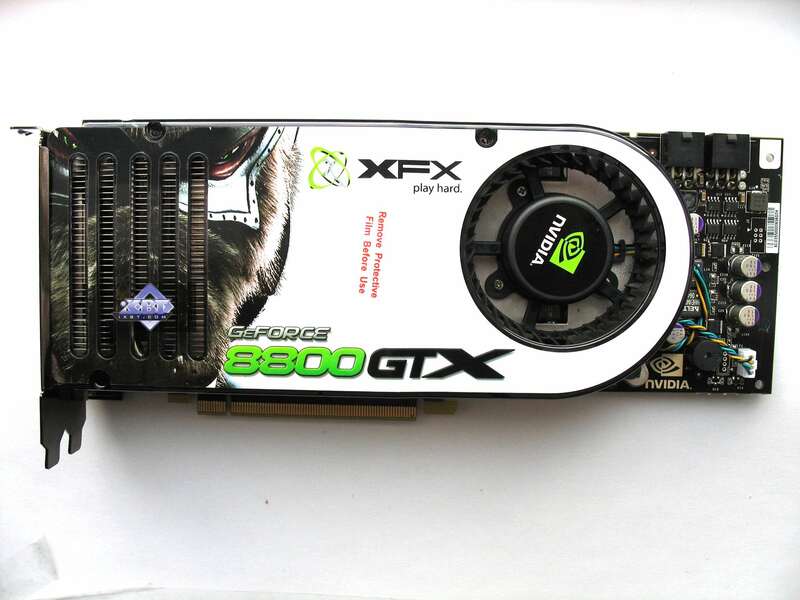 Today we are going to examine a couple of overclocked GeForce 8800 GTX cards as well as an 8800 GTS 320MB solution. 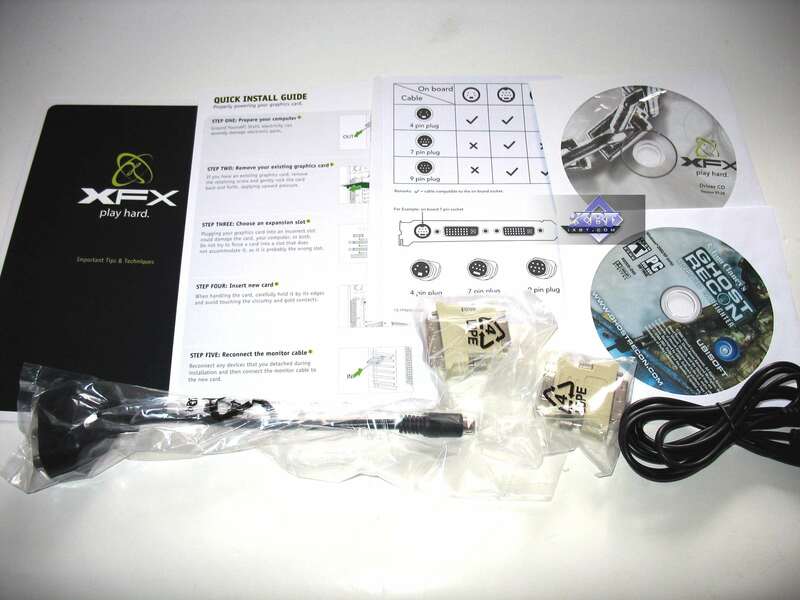 The card from XFX is one of the fastest in its class and is one of the best choices, though it yields to EVGA GeForce 8800 GTX ACS3. The second card is a very interesting GeForce 8800 GTX from MSI equipped with a powerful liquid cooling system. Its efficiency allowed to raise card frequencies up to 610/2000 MHz. That's why it's the fastest product of all three reviewed today. 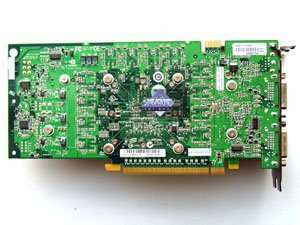 The third accelerator is a simple 8800 GTS 320MB reference card from ASUS. 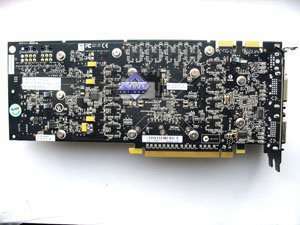 Dimensions: 270×100×33 mm (the last figure is the maximum thickness of a videocard). RAMDACs/TDMS: in a separate chip. 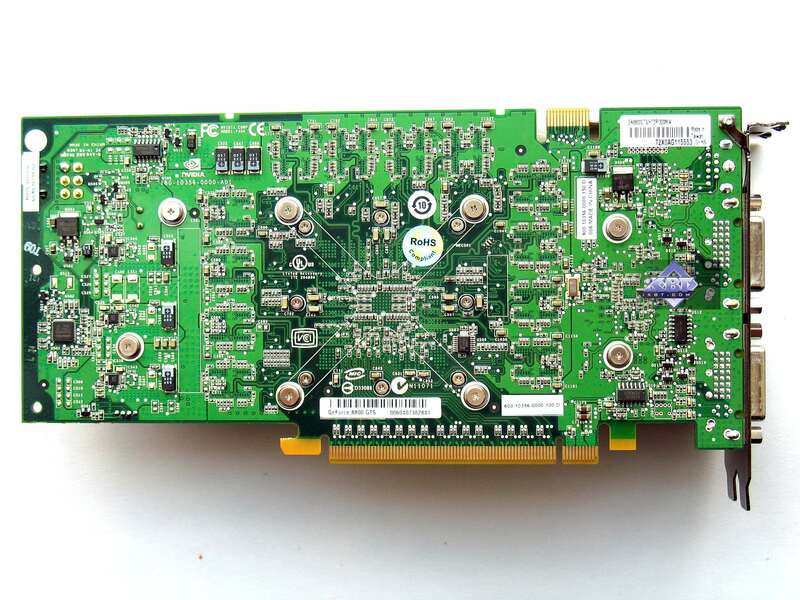 Dimensions: 220×100×33 mm (the last figure is the maximum thickness of a videocard). 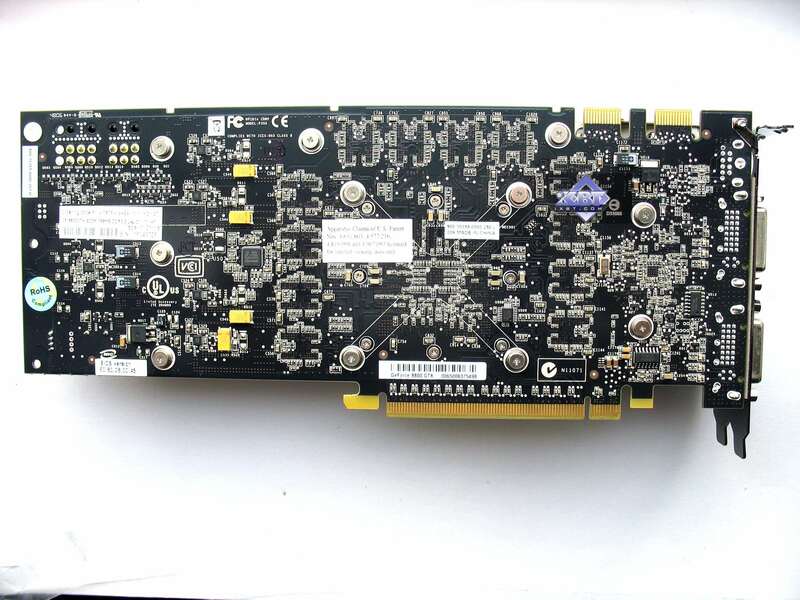 Each videocard has 768 MB of GDDR3 SDRAM allocated in twelve chips on the front side of the PCB. 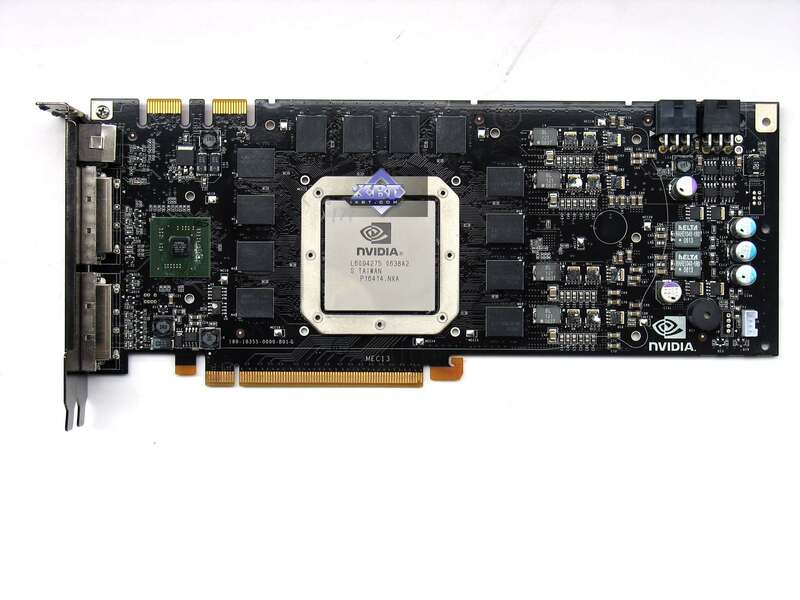 The videocard has 320 MB of GDDR3 SDRAM allocated in ten chips on the front side of the PCB. 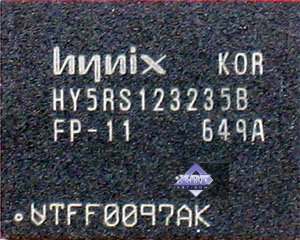 Hynix memory chips (GDDR3). 1.1ns memory access time, which corresponds to 900 (1800) MHz. A simple examination shows that these are typical reference cards. 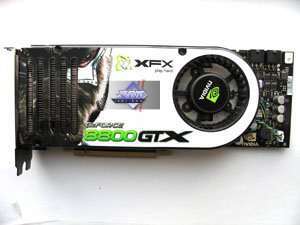 I repeat that all such cards are currently not manufactured by NVIDIA partners. The Californian company places orders at third-party plants and then sells ready cards to its partners. 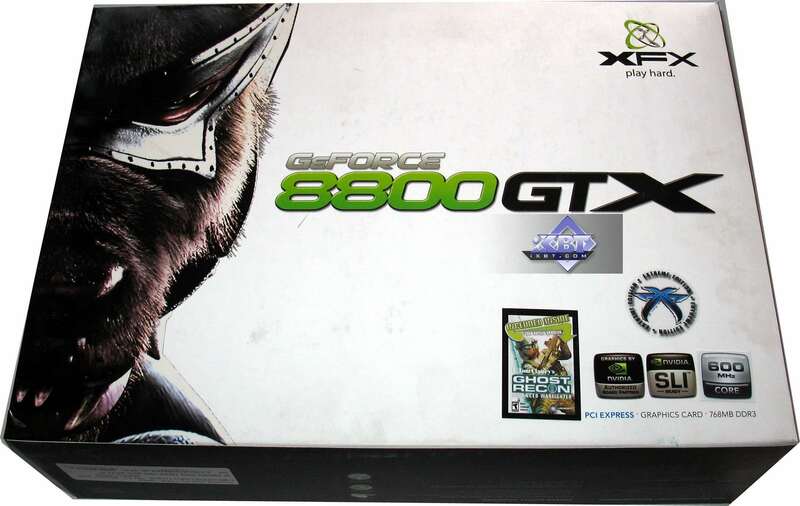 That's why all 8800 GTS/GTX cards are as like as two peas. Of course, except for overclocked models that abound in the market. 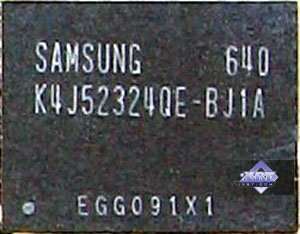 Even in this case, they differ only in raised frequencies, the cards preserve their reference design. The above-said applies to cards themselves. And now what concerns cooling systems. As we can see in the MSI card, these devices can be installed by NVIDIA partners now. They are not bound to use default coolers. But we'll write about it below. What concerns MPEG2 playback features (DVD-Video), we analyzed this issue in 2002. Little has changed since that time. CPU load during video playback on all modern videocards does not exceed 25%. What concerns HDTV and other trendy video features, we are going to sort them out as soon as possible. 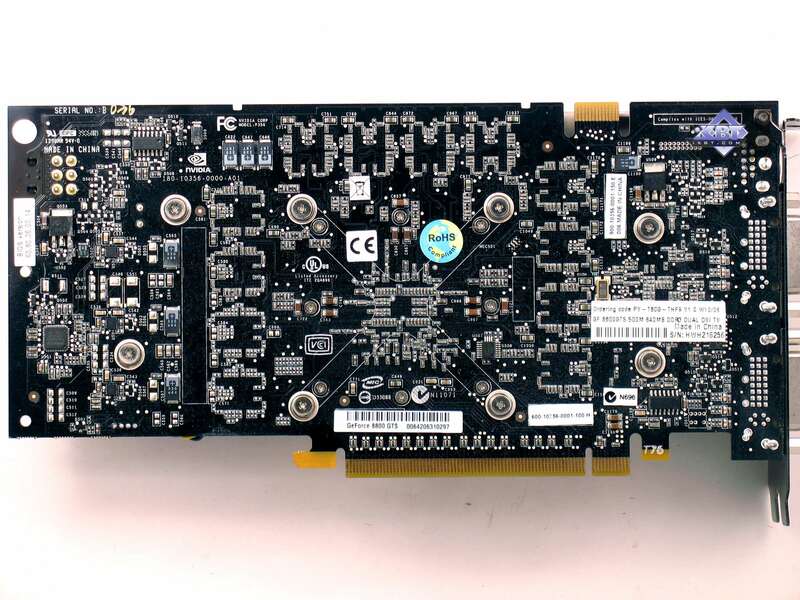 All the cards require additional power, so each one contains a black 6-pin connector (the 8800 GTX model has two of them). 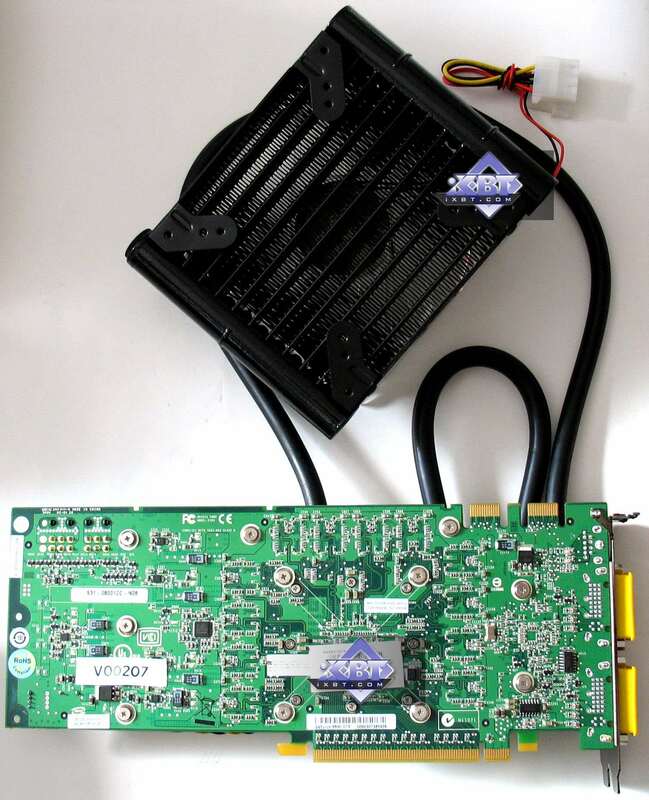 The cards are bundled with a splitter to connect to any power cable with a Molex in case your PSU does not have this cable. Now about the cooling systems. 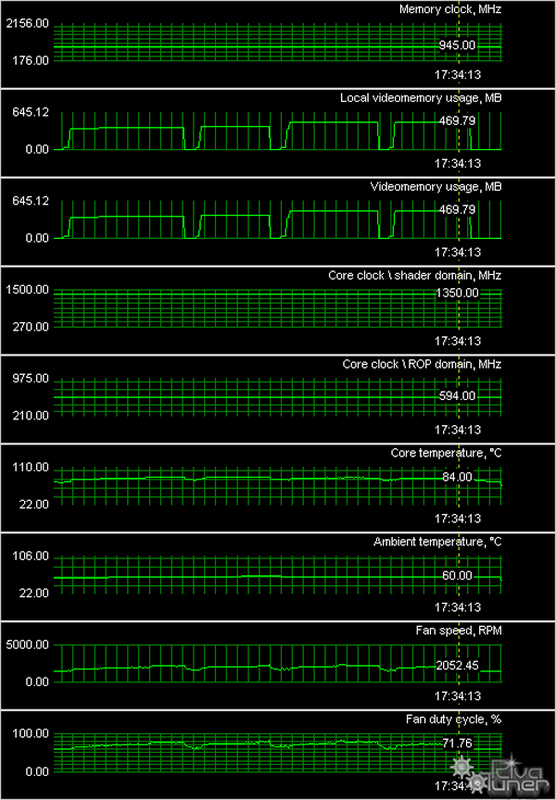 All these cards actually use the same cooler (the 8800 GTX has a longer heatsink). With the launch of the 8800 series we roll back to the old turbine design with a fan at one end of a closed heatsink that drives the air through. This solution has a number of advantages. 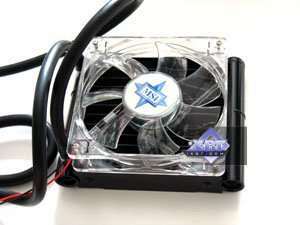 Firstly, the device drives ALL hot air out of a PC case. Secondly, the turbine is very large and slow, so it's quiet even under heavy load. 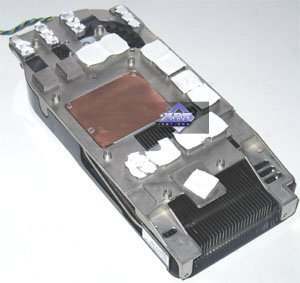 Thirdly, efficiency of the cooling system is reinforced by heat pipes at the sides of the heatsink. The cooler is not heavy, as copper is used only for the plate that touches the GPU. Other components are made of aluminum alloy. The design resembles devices from Arctic Cooling. 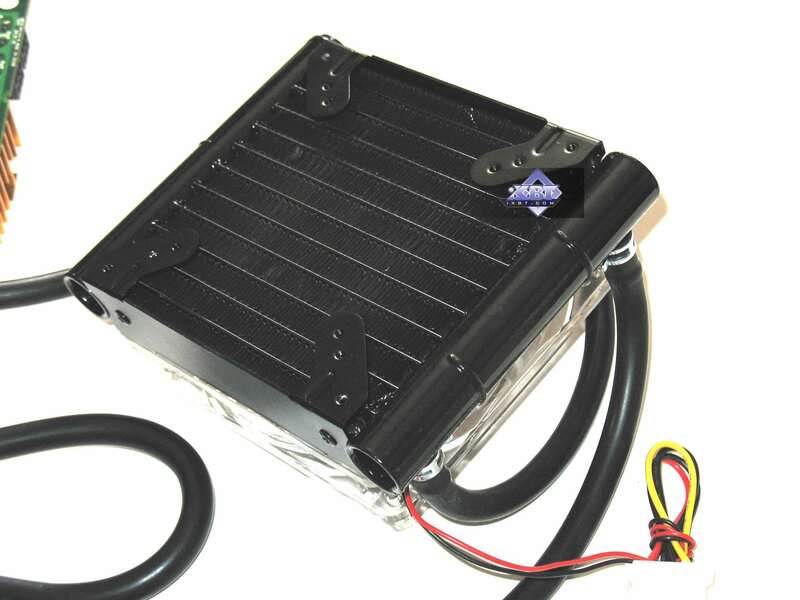 We found out that the cooling system worked very efficiently in all cases and did not allow the core temperature to rise above 85°C. 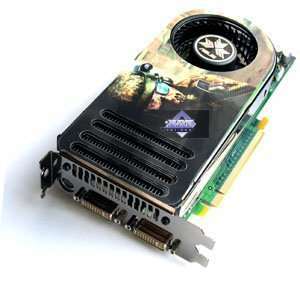 But on the whole, both 8800 cards get very hot during operation, their PCBs may even burn your fingers. So you'd better install a good ventilation system inside your PC case. 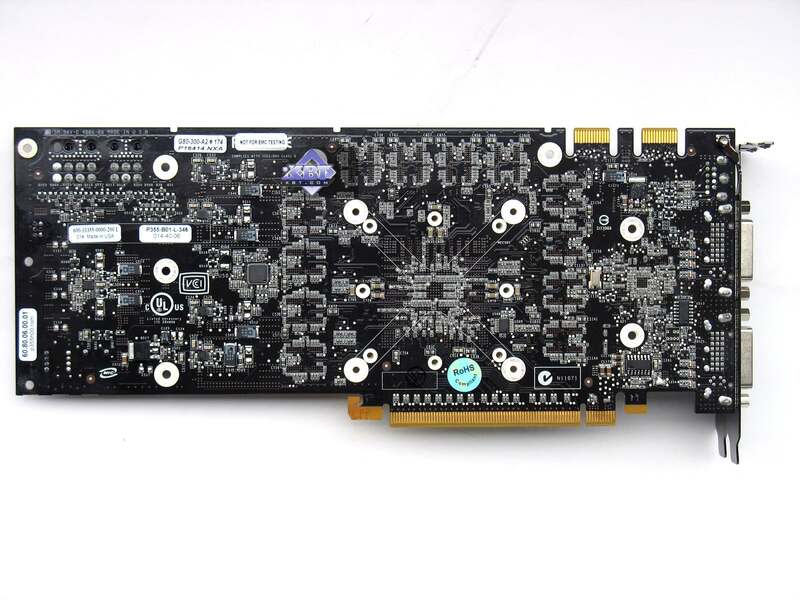 This videocard actually differs from the other cards and MSI 8800 GTX models only in its unique cooling system. 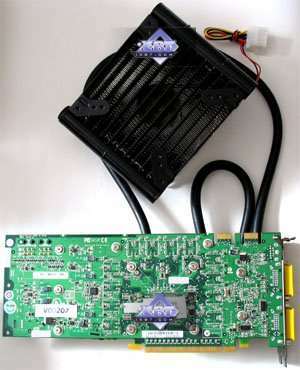 You can see on the photos that the device, which uses water as coolant, consists of a water block installed on a GPU (it also cools the heatsink that covers memory chips and NVIO); a pump mounted on the card and powered from it; an expansion vessel and connecting pipes. We have practically no gripes with the noise. A large fan on the expansion vessel is slow and generates minimum noise. Pump noise blends with the general noise of your system unit (it does not rise above the background noise). 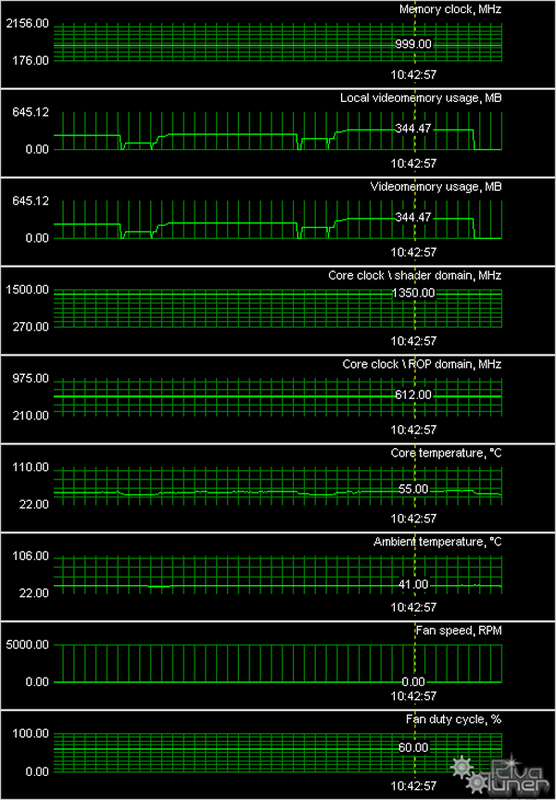 As we can see, the temperature does not exceed the critical mark (90 degrees and higher), the cooler is not noisier than the overall background. The cooling system copes well with its task even when the card is overclocked! 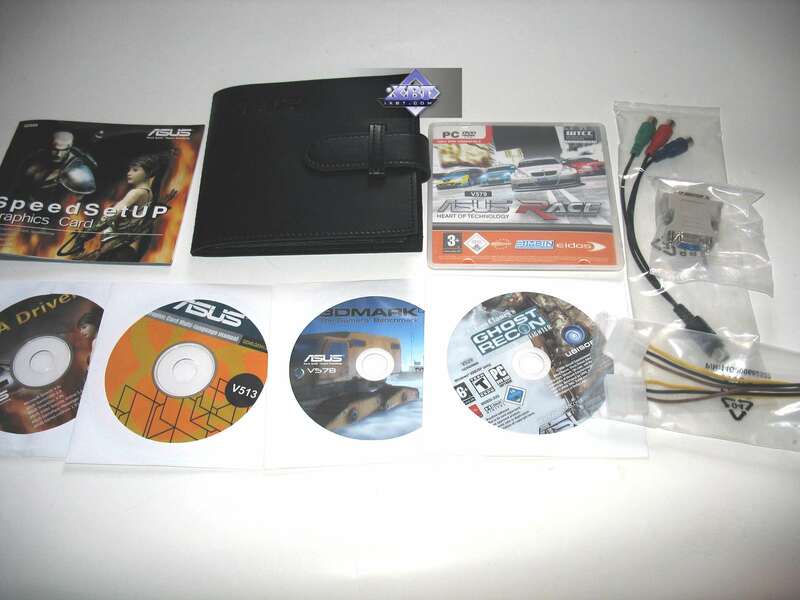 It's a standard bundle: A pile of papers with various warnings and instructions which slots to avoid, a CD with drivers and software, CD with an old game, two DVI-to-VGA adapters, external power splitter, component output adapter. It's a similar bundle, plus a leather CD album. It also includes CDs with additional software, for example, 3Dmark06. A traditional huge box-bag. All components are arranged into compartments inside. The card itself is secured in a foamed polyurethane section. A large box in a jacket of the traditional design. All components are arranged into compartments inside. The card itself drowns in a sea of foam-rubber, so damages in transit are out of the question. ASUS offers a traditional huge box-bag. But while the bundle may move around inside the box (it's not secured well in compartments), the card itself is put inside a special box made of foamed polyurethane, so it's protected from damages. 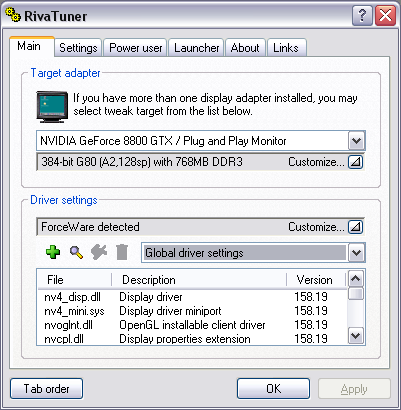 Drivers: ATI CATALYST 7.3; NVIDIA Drivers 158.16. Call Of Juarez (Techland/Ubisoft) — DirectX 9.0, shaders 3.0 (HDR), demo (demo Tests were run with maximum quality. The batch file is included. Those of you who are into 3D graphics will understand the charts themselves. And newbies and those who have just begun choosing graphics cards can read our comments. First of all, you should browse our brief references dedicated to modern graphics card series and underlying GPUs. 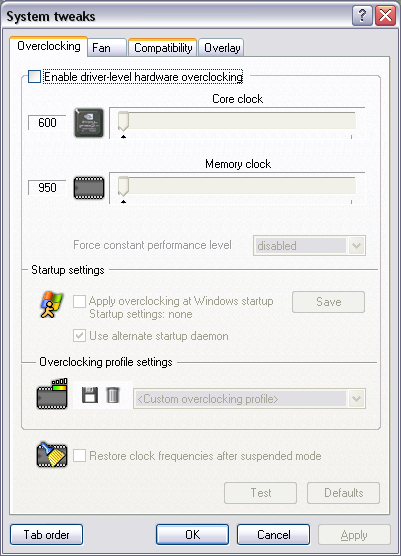 Note clock rates, shader support, and pipeline architecture. 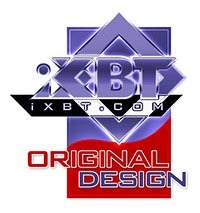 Secondly, you can browse our 3D graphics section for the basics of 3D and some new product references. 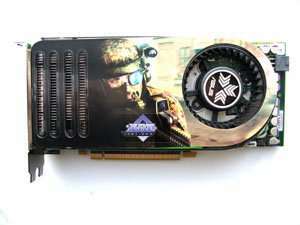 There are only two companies that release graphics processing units: ATI (recently merged with AMD and obtained its name) and NVIDIA. Therefore all information is generally separated in two respective parts. You can also read our monthly 3Digest, which sums up all graphics card performance charts. Thirdly, see the test results of the videocards under review. 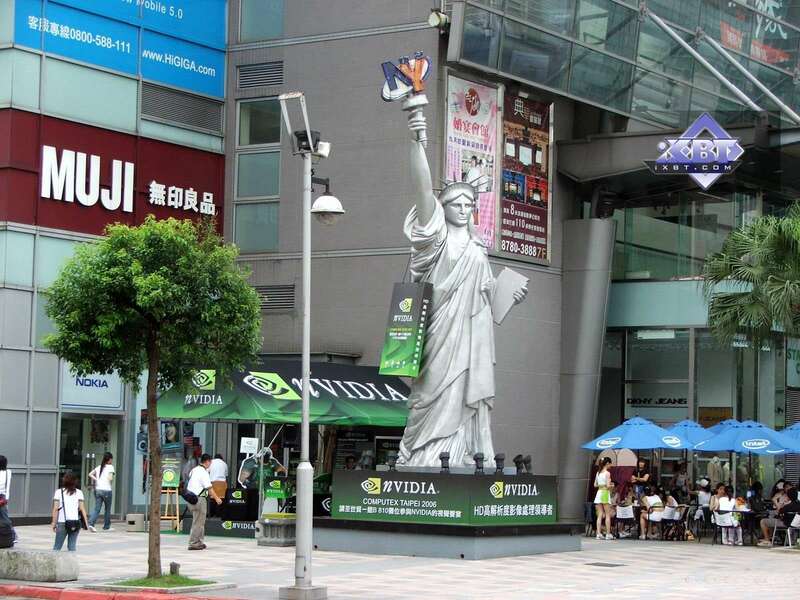 We shall not analyze each test, because we've already done it on the example of the product from EVGA. 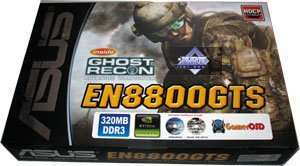 Detailed analysis is also available in the article about the 8800 GTS 320MB cards. There are no tests of the MSI card for technical reasons either. 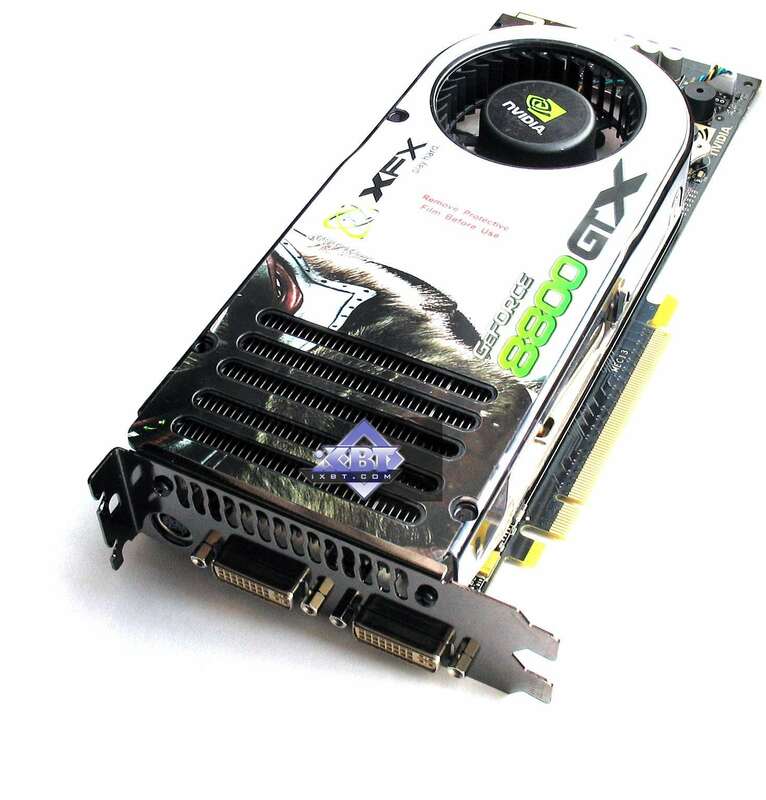 But the difference in test results between this card and the card from XFX is minimal, about 4-5%. 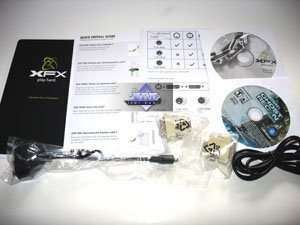 XFX GeForce 8800 GTX Extreme 768MB PCI-E is rather powerful, judging by its results. But a reference card is always a reference card. The increased frequencies give it some advantage. The bundle is poor. 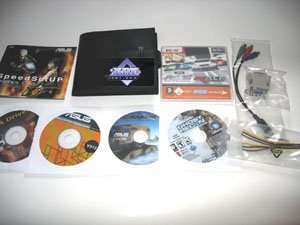 It includes an old game, which can be disregarded. Everything depends on the price. 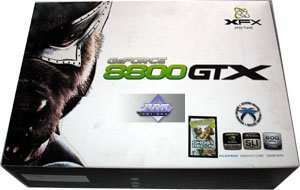 In other respects, it's a decent product, considering that the quality of NVIDIA drivers is growing gradually. BUT... We should mention a strange situation with DVI scaling under Windows XP, which allows per-pixel video output without distortions to displays with non-standard resolutions. This option works ONLY in unofficial beta 100.87. Despite the time the product has been available in the market. NVIDIA hasn't demonstrated such an ugly approach to fixing bugs for a long time. We can only hope that this text will help users who bought such videocards. 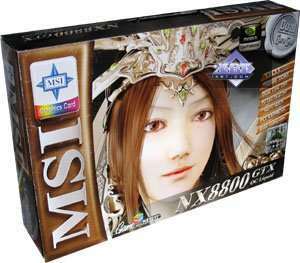 MSI NX8800GTX OC Liquid 768MB PCI-E - everything written above applies to this product as well. 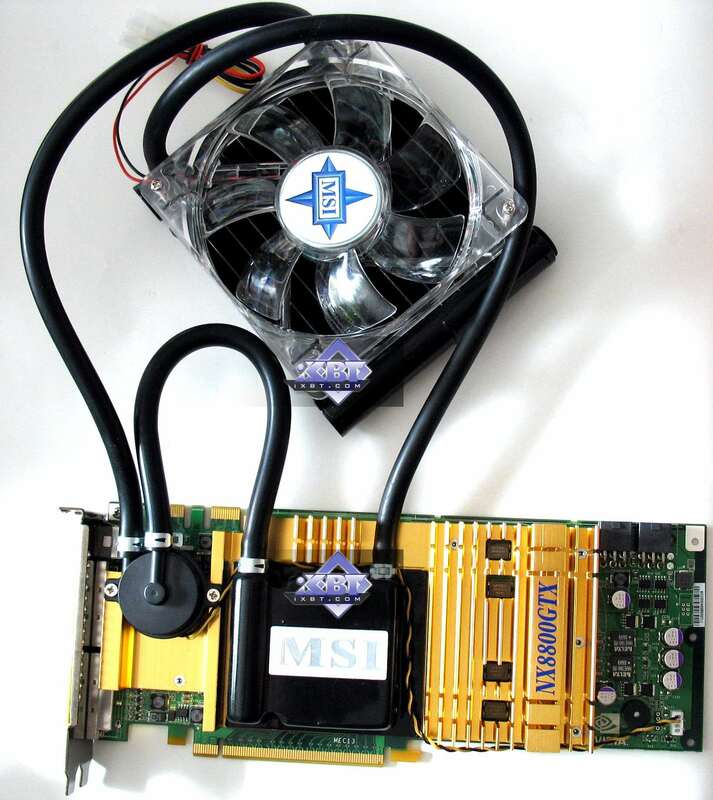 Plus the unquestionable advantage of the MSI card in frequencies, efficient cooling system (being relatively noiseless). But there may be some problems with installing the expansion box inside your system unit. The pipes are not long enough to give much flexibility in the issue. It must be taken into account. 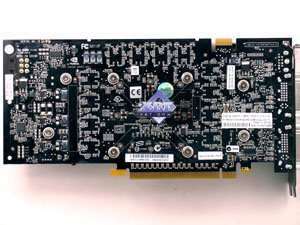 ASUS EN8800GTS 320MB PCI-E is also a reference card. 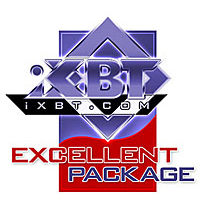 This card differs only by its bundle that has several bonuses. 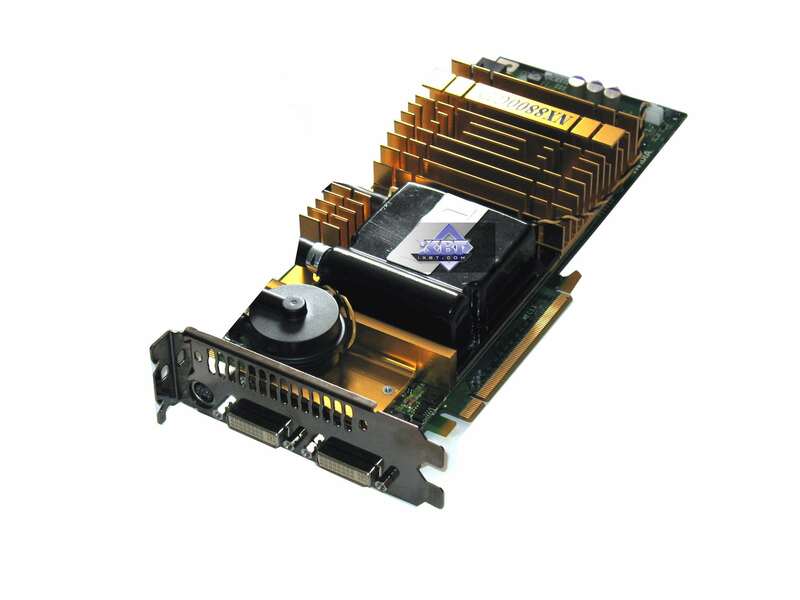 But on the whole, the 8800 GTS 320MB is actually one of the most expedient cards. However, it suffers from the aforementioned drivers problem as well. On the whole, all videocards worked well, we had no hardware problems. They are reference cards, after all. Note that you should watch the prices. 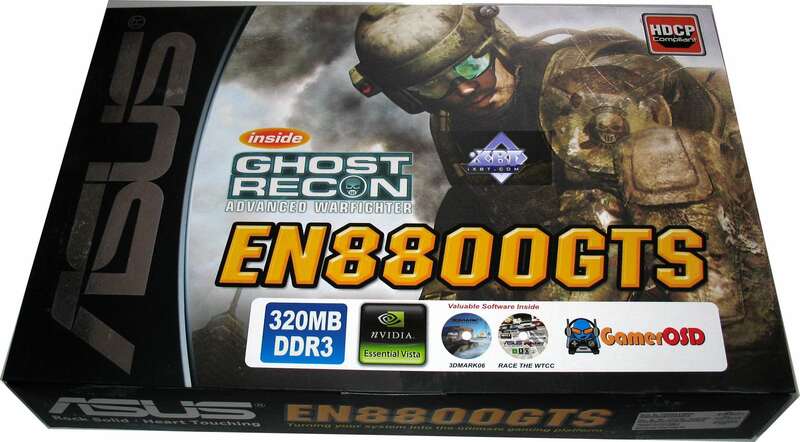 All our conclusions may become wrong, if, for example, the 8800 GTS 640MB gets cheaper than the 8800 GTS 320MB. By the way, speaking of competition with RADEON X1950, don't forget that although much cheaper, the latter does not support DirectX 10 in hardware. But this technology is the future.